Published: Oct. 14, 2018 at 01:34 p.m. Published: Dec. 10, 2017 at 05:29 p.m.
Washington Redskins quarterback Kirk Cousins strikes a pass to tight end Vernon Davis for a 23-yard TD. 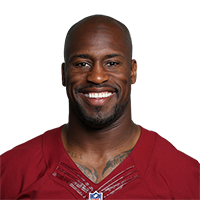 Published: Nov. 19, 2017 at 03:55 p.m.
Washington Redskins quarterback Kirk Cousins drops pinpoint pass to Vernon Davis for 36 yards.